The Sweden-America Foundation was established in June 1919 at the initiative of a group of prominent scientists, business leaders and public opinion makers. The founders and first Board members included the Nobel laureates and Professors of Chemistry Svante Arrhenius and The Svedberg, the Swedish Arch Bishop and Professor of Theology Nathan Söderblom, the Managing Director of ASEA, J. Sigfrid Edström, the industrialist and banker Jacob Wallenberg, the chairman of the Social Democratic Party Hjalmar Branting, the author and Nobel laureate Selma Lagerlöf, and the artist Anders Zorn. The Foundation administers thirteen permanent scholarship funds of which twelve are used for the Fellowship Program. The first fund was established in 1919, when the Swedish artist Anders Zorn gave a generous donation to the Foundation. This became the ”Zorn Fellowship”, still considered one of the Sweden-America Foundation’s most prestigious awards. 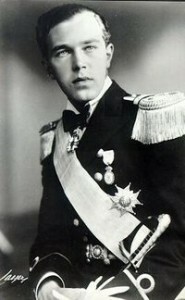 Prince Bertil was honorary chairman of the Sweden-America Foundation from 1950 until his death in 1997. 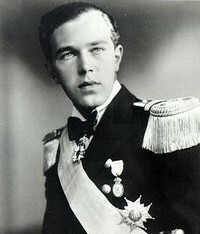 The Prince succeeded Crown Prince Gustaf Adolf who had been honorary chairman from 1919, when the Foundation was established. 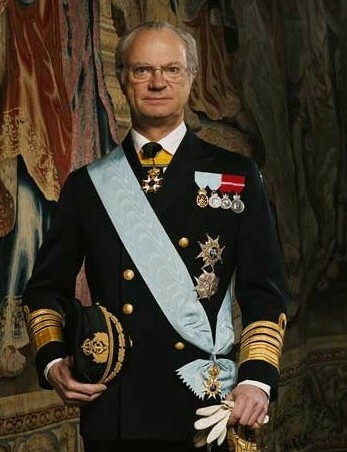 In honor of Prince Bertil’s 70th birthday, ”Prince Bertil’s Fellowship” was established. 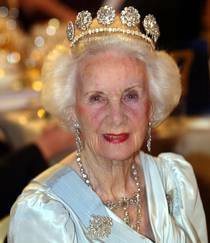 Since the death of Prince Bertil, his wife Princess Lilian participated in the Foundation’s annual meetings for many years and presented this award to the recipient, until she passed away in 2013. 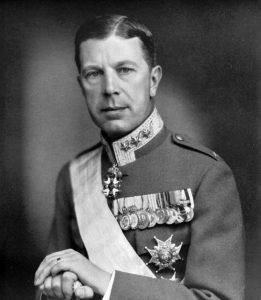 Crown Princess Victoria succeeded Prince Bertil as honorary chairman in 2001, and has been on leave since 2016. The Sweden-America Foundation fellowship recipients over the years have later served an important role in Swedish industrial, political, and cultural life. They include scholars who later became professors and Nobel laureates, ambassadors, two Prime Ministers, politicians and CEOs of some of Sweden’s most noted companies. The Sweden-America Foundation is an institution which has relied solely on private contributions from industry, from different foundations and from private individuals. Over the years many well-known Swedish companies have generously provided the means for scholarships and for the general operations of the Foundation. The Sweden-America Foundation has from the start enjoyed a close relationship with the American-Scandinavian Foundation (ASF). The foundations’ cooperation through the years has enabled many Swedes to acquire valuable experience as trainees at American companies and organizations. The Sweden-America Foundation also nominates about 10 candidates for ASF fellowships every year. Thanks to Scandinavia, Inc. (TTS) was founded in 1963 by Victor Borge and Richard Netter in gratitude toward the Scandinavian countries for rescuing Jews during World War II. The Danish-born entertainer Victor Borge, who fled to Sweden to escape the Nazis, was the TTS honorary chairman until his passing in 2001. The Sweden-America Foundation annually nominates 2-3 candidates for TTS fellowships. The Sweden-America Foundation has cooperated with Thanks To Scandinavia since 1967, and regrets that one of the founders, Richard Netter has deceased in New York, July 2009. Richard Netter leaves in Thanks To Scandinavia a legacy of enhancing education and research with the scholarships awarded to many young Swedish talents. The Sweden-America Foundation and our alumni remember Richard Netter with gratitude. The first seventy years of the Sweden-America Foundation are described in a book by Dag Blanck, PhD. Although the book is mostly in Swedish, there is a six-page summary in English. Please contact the Foundation to find out how to acquire the book. The Sweden-America Foundation celebrated its 90th annual meeting on April 28th, 2009 at the Swedish Society of Medicine in Stockholm. To celebrate this special occasion, the honorary Chair HRH Crown Princess Victoria chose to honor the Sweden-America Foundation with her presence. The jubilee seminar ”Challenges and Possibilities; New Perspectives on Swedish-American Academic Relations” called many prominent alumni as well as Professor Arthur Bienenstock from Stanford. You can find his opening address on the homepage . Canada’s Ambassador to Sweden, Alexandra Volkoff spoke to the fellows, and Robert Hilton from the US Embassy read a greeting to The Sweden-America Foundation from Secretary of State Hillary Rodham Clinton. The Foundation’s Board of Directors and Trustees, donors, members and other friends of the Sweden-America Foundation attended the award giving ceremony.